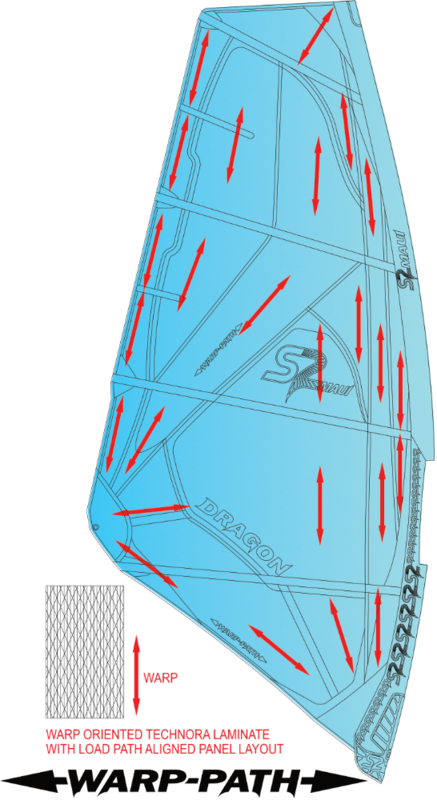 WARP-PATH™, S2 Maui’s functional and unique panel layout, aligns SpaceLight™ warp oriented Technora™ fibers along load paths in the sail body. • LIGHTER SAILS: The strength of load oriented Technora™ fibers in super light SpaceLight™ material allows for reduction in patch size which results in a weight of finished sails 10-20% % below industry standard. • STRONGER SAILS: Load oriented panels with high strength Technora™ distribute tension in high stress areas and create an incredibly strong sail body and perimeter. Double pass lamination ensures long term durability. • STABILITY: Low stretch Technora™ fibers resolve downhaul, perimeter, and twist loads throughout the sail body, locking in shape, and limiting distortion wrinkles. • MORE RESPONSIVE: The light weight and low stretch allow for an extremely quick reacting and responsive sail dynamic. 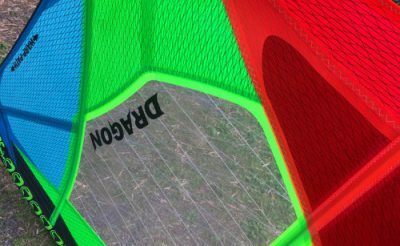 Diagonally oriented Technora™ enables instant twist reflex response. tension in the sail skin creates a magical feel that is light in the hands, and produces smooth consistent power. • BALANCED TENSION: The WARP-PATH™ panel layout fiber orientation distributes forces throughout the sail body, creating a balanced skin tension and a smooth, efficient shape under load. The rig feels perfectly balanced and connected throughout a wide wind range. 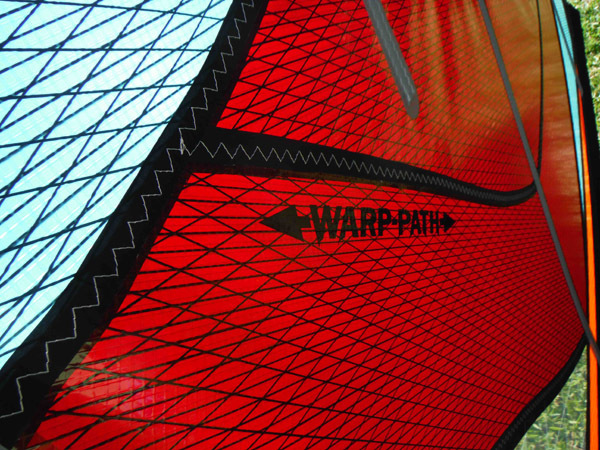 • SHAPING FLEXIBILITY: WARP-PATH™ offers benefits of fiber orientation combined with the profile control advantages of vertical/horizontal sail shaping techniques. Actual photo taken April 24, 2015 during testing of S2Maui’s exclusive SpaceLight™ laminate’s UV resistance properties at the edge of space. Special thanks to Dr. Tony Phillips at Earth to Sky Calculus. SpaceLight™ is S2 Maui’s exclusive durable super-light and stable laminate sail cloth featuring warp oriented Technora™ fibers. • LIGHTER MATERIAL: Technora™ and scrim matrix combined with double pass laminated, light weight films reduces weight by 50% to 75% compared to standard 5 mil sail material. • STRONGER MATERIAL: Technora™ fibers used in warp and bias directions have three times the tensile strength of standard polyester fibers. • LESS STRETCH: Specifically oriented warp fibers have three times less stretch. This is necessary for specific load orientated panel configurations. • MORE DURABLE: The scrim base and Technora™ yarns develop incredible tear resistance. Double pass lamination ensures a perfect bond with adhesive on both sides of the fibers and helps prevent delamination. • MORE UV RESISTANT: The opaque and metallic (red) pigments on both sides of the laminate have outstanding UV resistance. We worked closely with our US based materials manufacturer to develop our own unique technically advanced material styles because we were not satisfied with the poor stretch and strength characteristics of common, generic “light weight” sail cloths that are easily available. The result of our collaboration is S2Maui’s exclusive SpaceLight™, warp oriented Technora™ double pass laminates. SpaceLight™ laminates are super light weight and strong by virtue of the high concentration of Technora™ fibers. Three times better stretch and tensile strength compared to the standard polyester fiber construction is the goal. The double pass lamination schedule assures the strongest adhesive bond and allows for truly vivid colors. Using the outstanding warp directional stretch properties to full advantage requires a specific load path oriented panel layout. Our unique WARP-PATH™ panel layout aligns the fibers to best handle downhaul, perimeter, and diagonal twist loads in an extremely effective manner, dramatically improving stability and response. Another key advantage of WARP-PATH™ is that it still allows us to use the excellent shape control properties of a vertical/horizontal sail architecture, something that is typically lost in other high tech constructions. 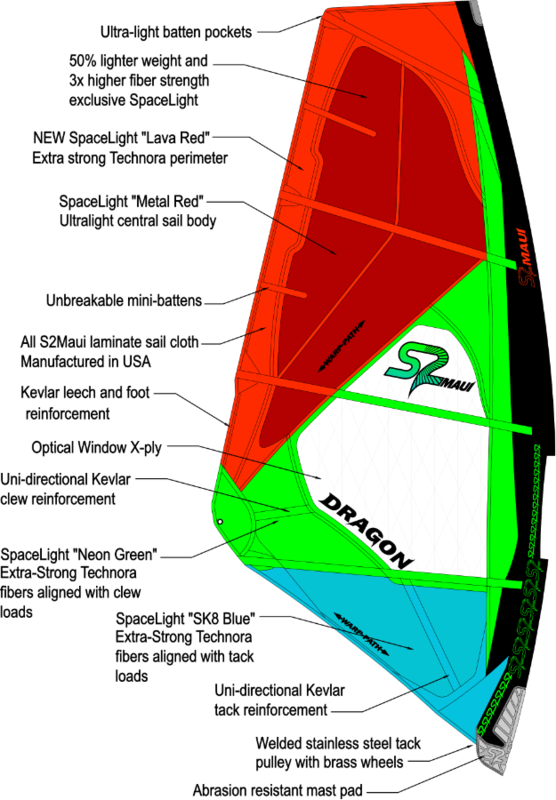 Final weight of finished sails is averaging 10% below our previous “light weight” design efforts, and 15% lighter than current industry standard, while maintaining superior strength and durability. On the water, the positive performance effects of this significant weight reduction multiply exponentially and become undeniably magic. 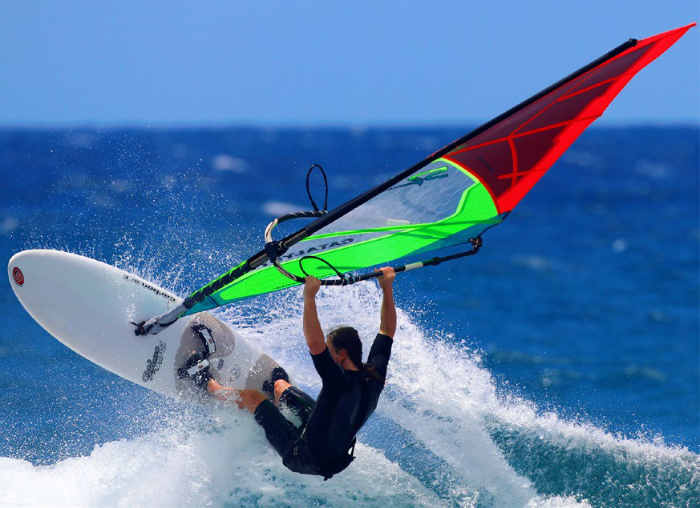 TEST S2Maui Dragon - Il Windsurf in italia con news,articoli di viaggi e video.